Now in its 37th season, the Killington Music Festival, a non-for-profit organization, is the only resident professional classical music organization in central Vermont. Each summer students gather at Killington from institutions such as the Juilliard School of Music, Boston Conservatory, The New England Conservatory, The Manhattan School of Music, Peabody Conservatory, Eastman School of Music and the University of Arizona. 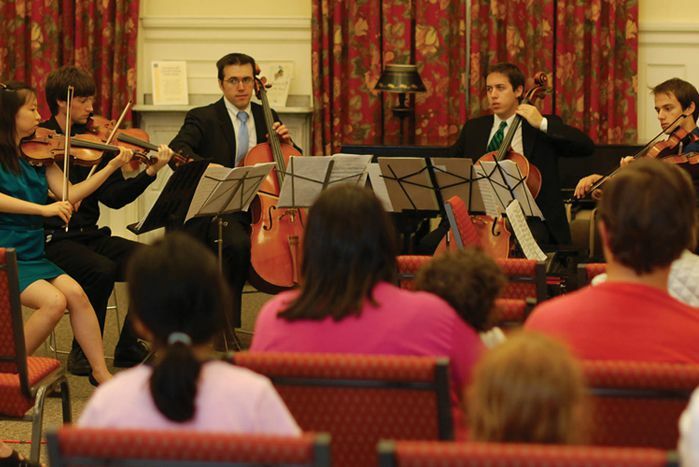 These musicians come to the area to play chamber music and to teach students. Performances by the faculty and invited guest artists have made the Festival a mainstay of summer culture in the region. The young musicians who attend the Killington Residency Program are graduate, college and talented high school students. Many of our students, as well as many alumni, are members of chamber groups and orchestras in the United States as well as in other countries.